William Bradford Shubrick was born on 31 October 1790 at “Belvedere,” Bull’s Island, S.C. and studied at Harvard before accepting an appointment as a midshipman in 1806. Following service in the Mediterranean in Wasp, he served in Argus along the Atlantic coast of the United States. Rear Admiral William Bradford Shubrick by Matthew Brady. After duty in Hornet early in the War of 1812, he was assigned to Constellation and, while that frigate was at Norfolk, he led a party of bluejackets in beating off a British boat attack against Craney Island on 22 June 1813. He subsequently was awarded a Congressional medal for service in Constitution during her capture of Cyane and Levant. At the outbreak of the war with Mexico, Shubrick requested sea duty and, in Independence, sailed for the California coast to relieve Commodore Sloat in command of American naval forces there. However. Commodore James Biddle brought his East India Squadron to Monterey, California on 2 January 1847—only a week after Shubrick's arrival—and assumed command. In April, Shubrick sailed for the coast of Mexico to head the blockade of Mazatlan and Guaymas. 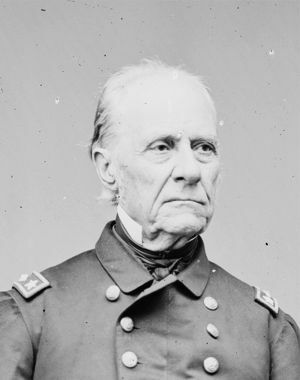 Early in June, Shubrick was recalled to California where Biddle restored him to overall command on 19 July and sailed for the east coast.